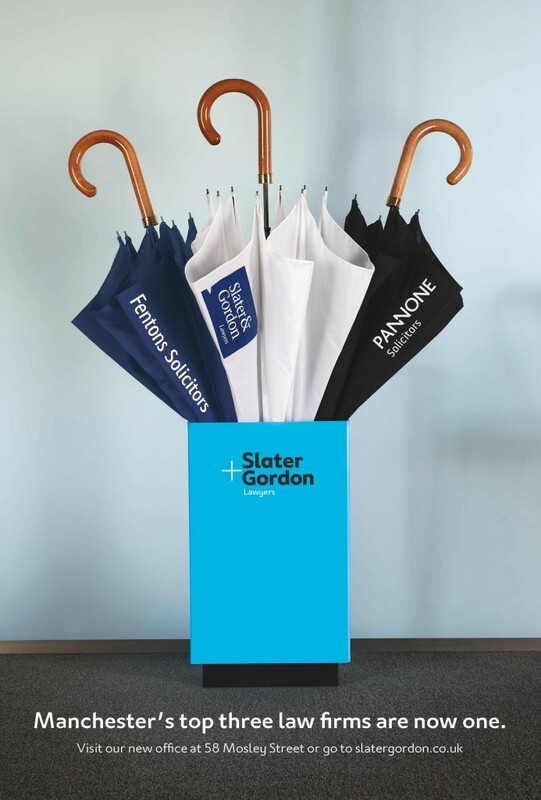 Announce the merger of top law firms Slater and Gordon, Pannone and Fentons using poster sites surrounding Slater and Gordon’s new offices in Central Manchester. Make the communication direct and simple to reflect the company’s approach to legal advice. Bring the logos of the individual companies together under one roof via their umbrellas. It is always useful to carry one in Manchester.